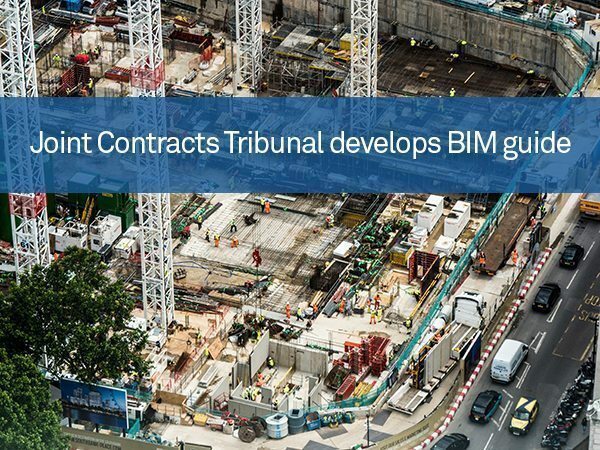 The Joint Contracts Tribunal (JCT) has developed a new guide to advise professionals how to make the most out of Building Information Modelling (BIM) technology. The practice note is entitled Building Information Modelling, Collaborative and Integrated Team Working, and is designed to help practitioners to develop a better understanding of BIM and offer information on how it is integrated in the contact process. An overview of BIM, along with a summary of mechanisms and industry standards are featured in the release, along with information on how a BIM protocol can support the main contract document to achieve BIM level 2. Those using BIM with their projects can also benefit from a bibliography and references to provide a detailed reference tool for the work. BIM is continuing to be an effective tool when it comes to allowing manufacturers to optimise construction plans and create better value. The note was produced by JCT’s BIM Working Group, which was established to inform JCT’s drafting process and adhere to future JCT editions. It is hoped the release will lead to improved resources for JCT contract users as more construction projects adopt BIM. Chair of JCT’s BIM Working Group, Nicholas Deeming, said: “2016 is here and in the public sector this triggers a BIM Level 2 requirement on all project appointments and contracts. Increasingly the topic is gaining traction in the private sector too where the use of BIM is equally beneficial. JCT chair Richard Saxon also commented on the plans, noting that BIM has the potential to improve client satisfaction and profitability, but many suppliers need help in order to use the tools effectively.